We all know that bariatric surgery is a tool. It will help your patients get their weight down where they can implement daily exercise. For long term success, it’s paramount that your patients change their diet. Diet is 80% of the battle. Your patients can’t outrun their fork. So how do you ensure your patients change their bad eating habits after weight loss surgery? We meet with our patients. We ask them what they’ve been eating. We ask them about their lifestyle. We listen to them. We teach them. Education starts before surgery. Most patients are required to participate in a medically supervised diet before surgery. Various levels of education are provided during medically supervised diets. Patients are also educated during the pre-surgery nutrition consults. This is where content, guidelines, diet manuals are beneficial but can be overwhelming. After providing your patients with the information they need via consults, seminars, and content, support groups play a key role in the implementation and continued compliance with those guidelines. Discussions during support group meetings revolve around trigger foods, emotional eating, emotional support, exercise, and more. 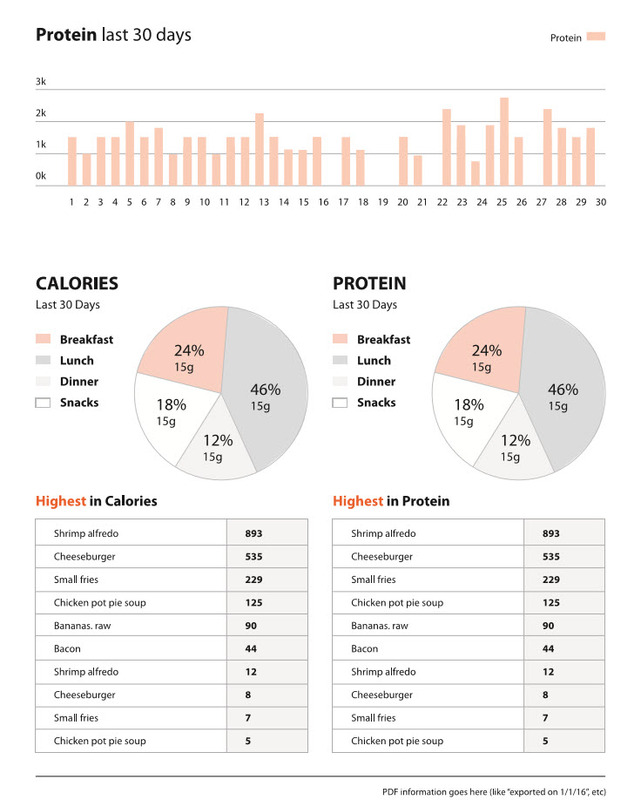 Tracking what you eat on a daily basis leads to more weight loss and sustained long-term weight loss. It’s been studied multiple times, peer-reviewed, and accepted as fact. 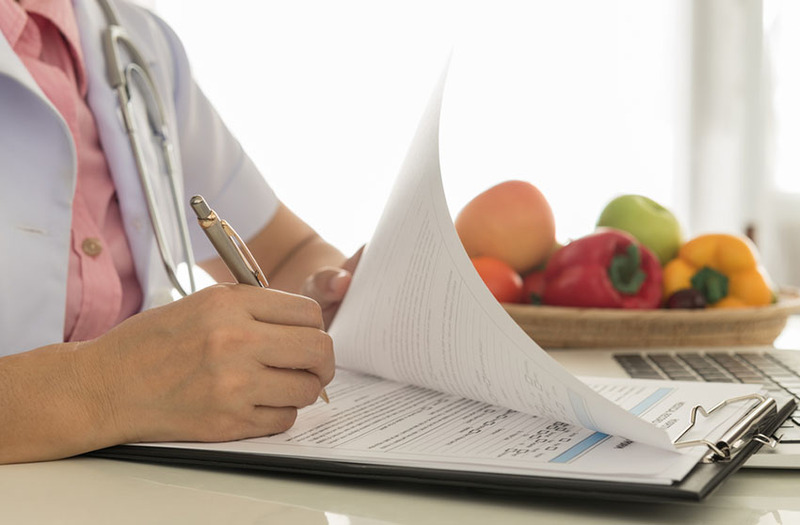 Do you ask your patients to journal their food on a regular basis? Do they? It does work for some patients. Data shows that education and support are correlated to long-term weight loss after weight loss surgery. But all the education in the world doesn’t help if your patient is not forthcoming with what they are really eating. Habits that have been formed over 20 plus years of poor eating choices are difficult to change. So how do we transform our patients into healthy superstars for the long-term? Most of your patients’ journeys happen outside of the office. Emotional struggles, financial struggles, reverting to old habits can quickly waylay a well-intended patient. Technology is quickly closing the gap and making it easier to stay connected to your patients, while providing the tools they need to implement lasting healthy habits. Food journals have been proven to create more weight loss and sustained long-term weight loss (twice as much according to this Kaiser study). With a bevy of excellent apps for weight loss tracking, your patients can arm themselves with the best. Below is a list of our favorites. Imagine MyFitnessPal specifically for bariatric patients. It’s 100% free and in the major app stores. One of the most robust tracking solutions with ads or paid upgrades. Simple and easy to use with paid upgrades. 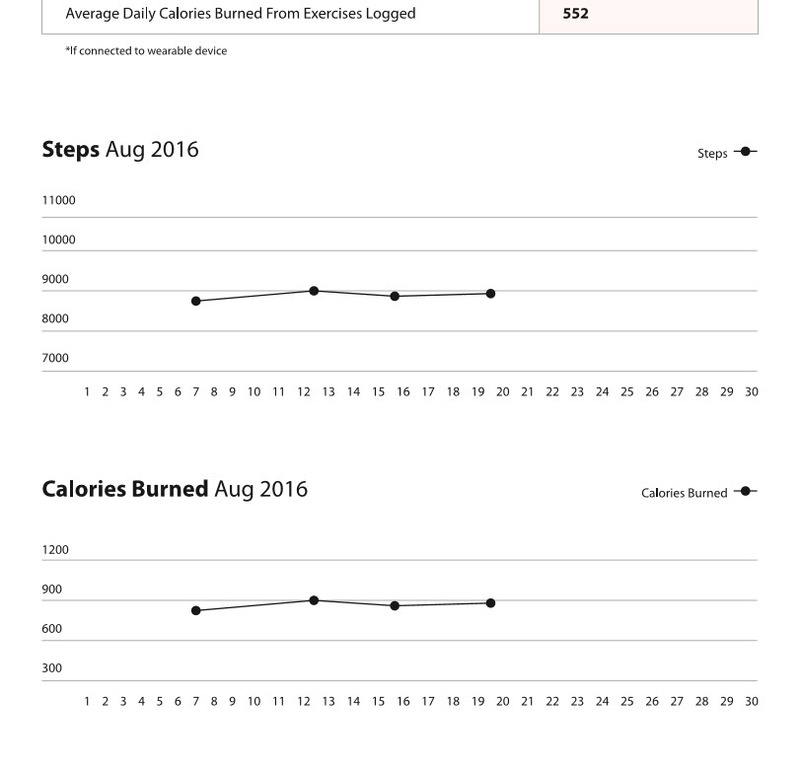 Technology makes it easy to track our exercise and log everything we eat and drink. But who monitors it? Most people quit tracking after their first few days. Missed a meal? Well, it wasn’t that important. I’m eating healthy and losing weight, anyway. Plus, most bariatric patients have a very emotional tie to food and now they’re seeing the weight drop off like magic. Why track my food? I had surgery. Does telling your patient to use a nutrition tracker hold that patient accountable when they know they won’t see you for another 6 months? There is a better way. 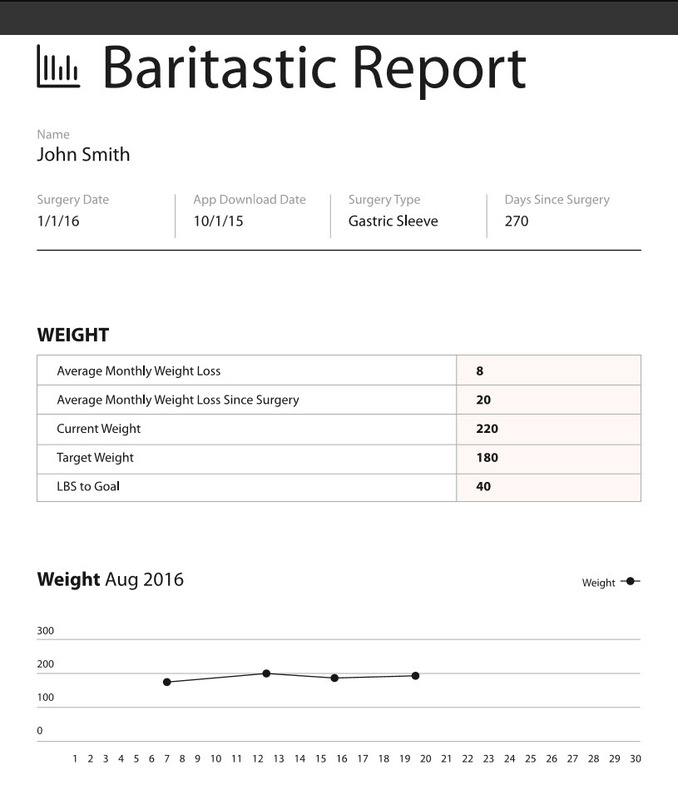 A company called BariApps makes Baritastic – a totally free app specific to bariatric surgery. Yes, the same app mentioned above. 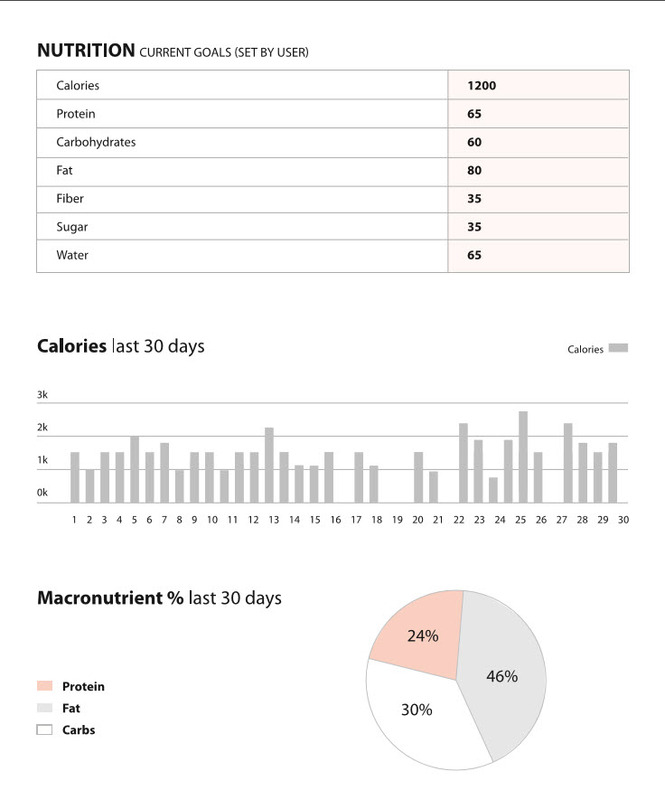 The Baritastic nutrition tracker allows patients to log everything they eat and drink. The app allows you to set vitamin and supplement reminders, access bariatric friendly recipes, use the food and water timer to better separate the two after surgery, journal thoughts and feelings, create a to-do list to help your patients make it to surgery, take photos of your progress and it even integrates with wi-fi scales and the major wearable devices. Most importantly, you can login to their HIPAA compliant dashboard and monitor your what your patients are eating and make better recommendations based on real data. With Baritastic program integration, you can quickly save or print reports in the morning and discuss them with your patients during your consults. 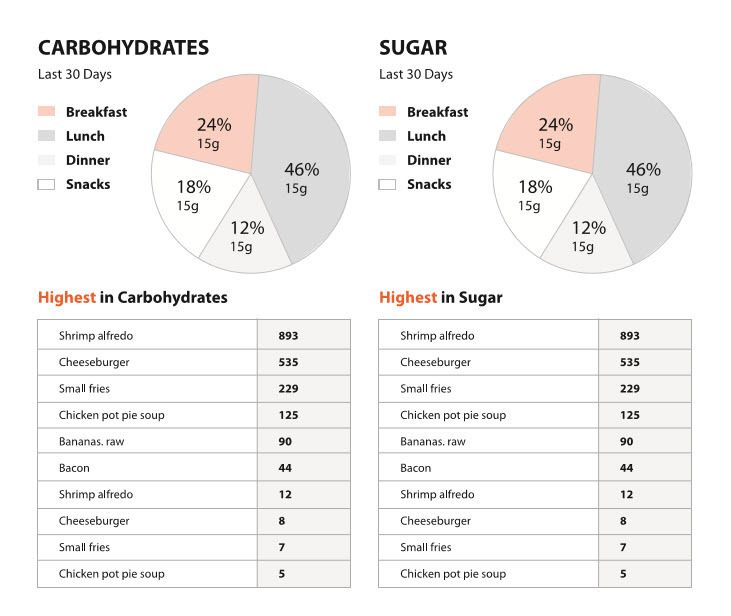 Below is a sample report (you can also view or print food logs). When I know that my dietitian is going to review my food log, I’m going to make sure I stay compliant and actually log my food. And I’ll do it until it becomes a habit! Support groups are there for a reason. You’re probably closely involved in these already. But I’ve found that bariatric patients need more than just guidance. They need action steps. And they only need a couple take-aways from each meeting to be successful. I could read 20 books about nutrition but that doesn’t help me when I have a bad day. I want a 32 oz Coke and a candy bar. I want it now. Drink 16 oz of water. Wait 1 hour before doing anything. Print this out and give it to each attendee. And give your support groups a descriptive name so people have a reason to show up. Monthly Support Group doesn’t cut it. How about, “How To Deal With Emotional Eating When You’re An Emotional Wreck.” “8 Ways To Prevent Stretching Your Pouch.” Get creative. Did I Mention? Your support group and seminar calendar also shows up in the Baritastic app when your patients enter your code to connect. And users are automatically reminded of these events via the app 24 hours in advance! Key content like your discharge instructions, diet guidelines, videos, educational material and important contacts also become available within the Baritastic app once a patient has connected. We can’t expect everyone to become a 5k fanatic. Nor can we expect everyone to run. I’m serious. I think we have to set the proper expectations. Daily exercise is extremely important. It can come in many forms. Tracking steps has become easier than ever with wearable technology. Fitbit, Jawbone Up, and all the others. As long as your patients are getting up, cleaning, walking, running, jogging, or crawling, they’re getting steps. And yes, Baritastic integrates with these technologies and you can monitor your patients exercise from your dashboard. Find out more about Baritastic Integration with your program. ⇐ Bariatric Surgery: Pay For Performance?